Theme can be a pretty tricky concept for some students to grasp. In the past, my students have frequently confused theme and main idea. I can see some similarities between the two. Many teachers often teach theme as the big, overarching idea. 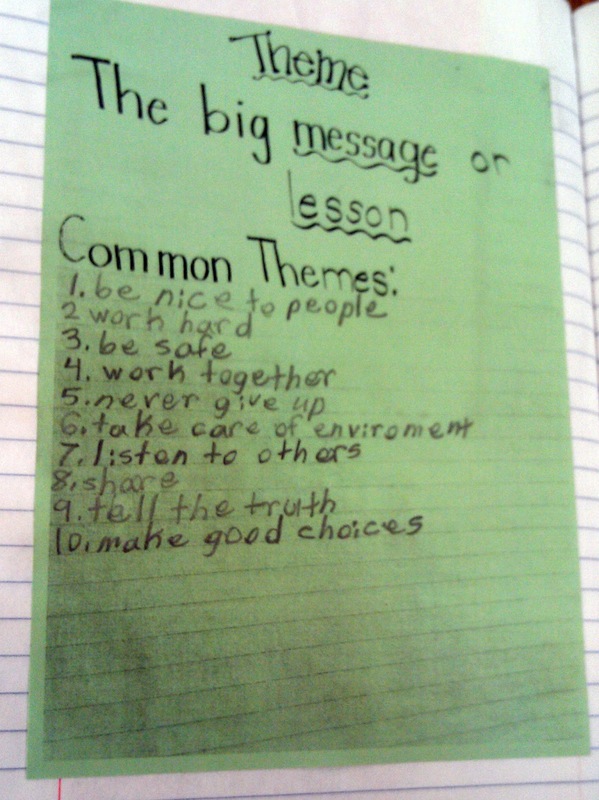 When I teach, I prefer to explain theme as the lesson or the big message. 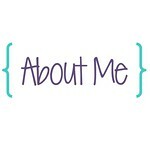 This time around, I really tried to emphasize that theme is generic. It does not include character names. 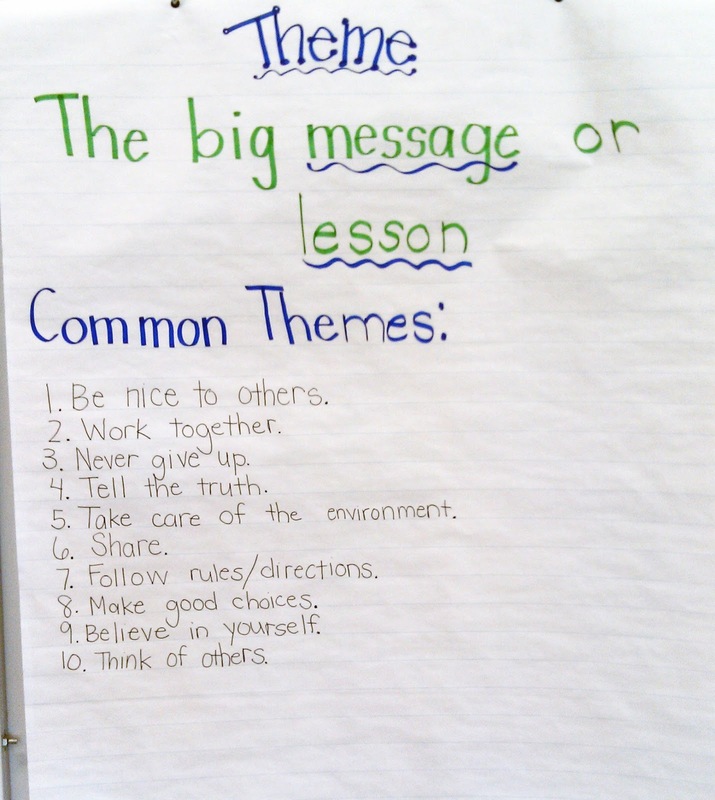 After introducing the concept of theme, the students and I brainstormed some common themes together. This was great practice for making sure we kept the theme generic. 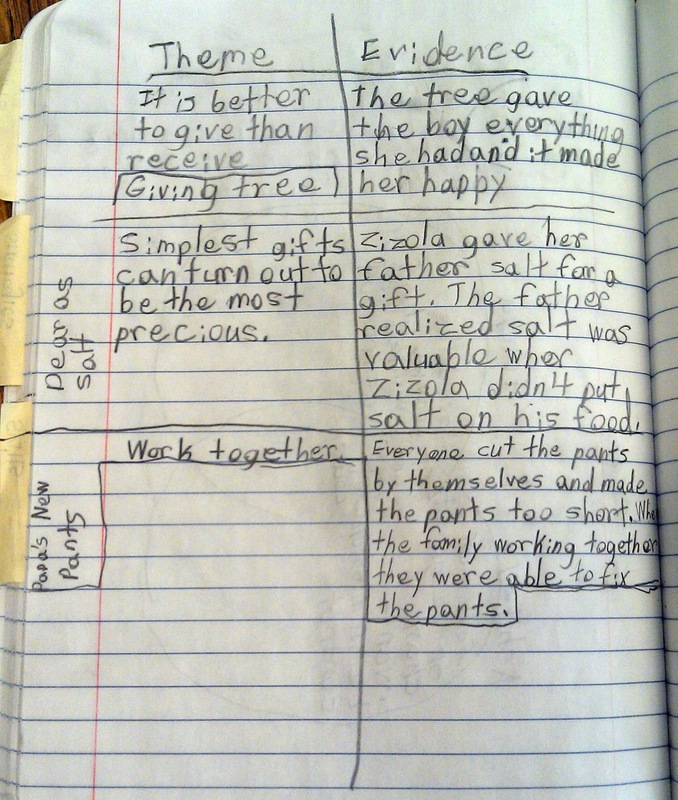 Students glued a copy of the anchor chart in their notebooks. Originally their chart only included the basic definition of theme. They added the common themes as we went along. To begin, I read aloud The Giving Tree. Once finished, we identified the theme for the story. Collectively we decided on: It is better to give than receive. We cited specific evidence from the text to support our theme. Students created a T-chart in their reader's notebooks to record this information. One side of the chart was labeled theme, and the other side was labeled evidence. 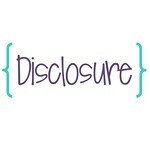 Right now we are really emphasizing supporting our ideas in everything we do. To practice finding themes in text, we used several short stories. Folktales work particularly well for analyzing theme. These types of stories generally have very powerful lessons. Highlights magazine fortunately publishes many folktales. 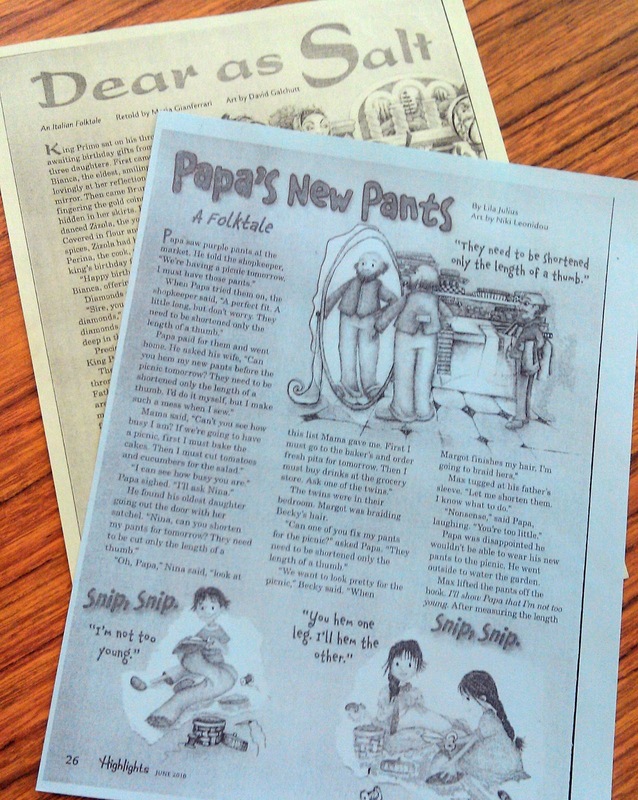 For this lesson, I chose the folktales Dear as Salt and Papa's New Pants. In Dear as Salt, a father learns that sometimes the simplest gifts are the most precious when his daughter shows him how awful food tastes without salt. With Papa's New Pants, a family learns that it is better to work together when they ruin Papa's new pants. Students continued to record these themes and their supporting evidence in their reader's notebooks. I really enjoy working with short stories. I find that it gives students more time to explore a variety of texts. For this lesson, it allowed students to see a greater range of themes. Don't get me wrong though, I still use plenty of books! Do you find theme challenging for your students? 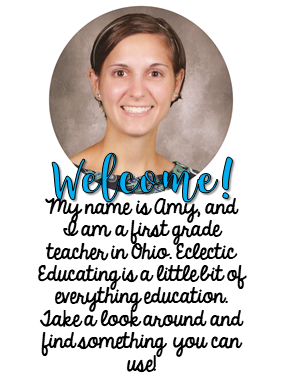 Theme and main idea are definitely two things my kids struggle with. I love using fables and folktales to teach them, though, since they are most often stories they can relate to. I really like the idea of using highlights magazine. Thank you for your kind words! I am glad you enjoyed the post. I so agree that a lot of students struggle with theme. 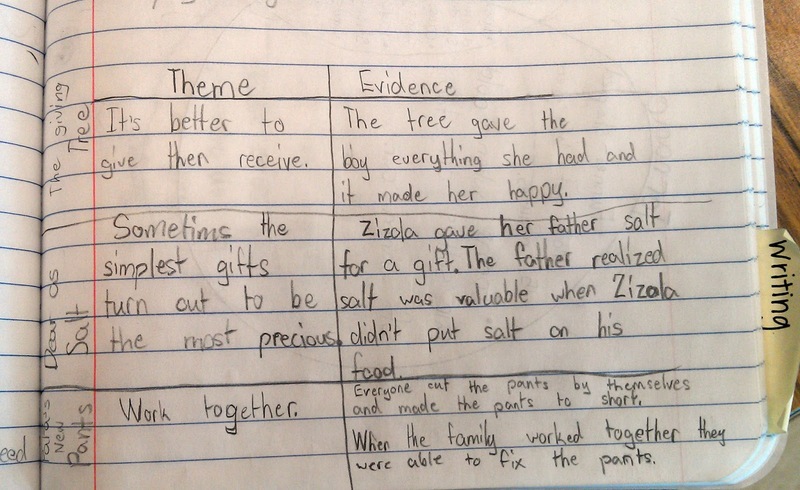 That is great that you have your students prove their thinking with evidence from the story! Wow, what a great post. I love everything about this lesson. I am totally saving this and trying it out in my classroom. Thanks!